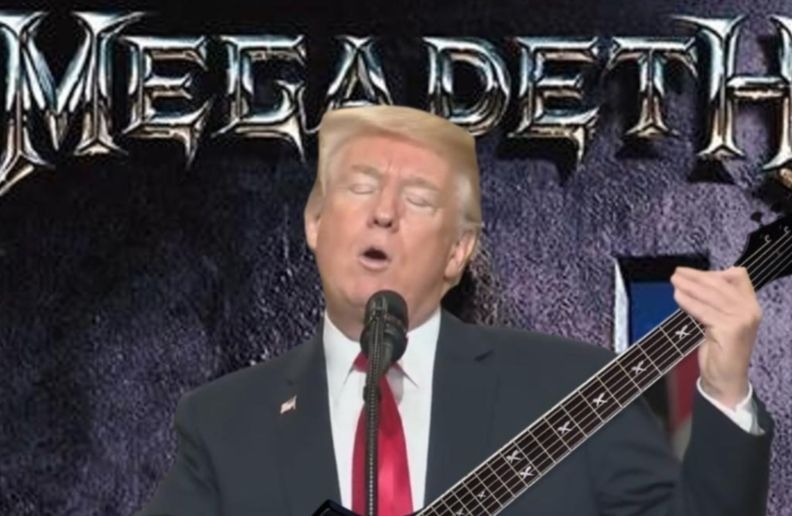 The Youtube channel Lars Von Retriever made a funny video that takes pieces of Donald Trump’s speeches and put them together as he was singing the classic Megadeth “Symphony Of The Destruction”. The song was generally well received by critics, and its accompanying music video by Wayne Isham initially received heavy rotation on MTV, but eventually became controversial and was edited because of an assassination scene that MTV felt was “too harsh”. The video features each band member individually playing, with a mostly black-and-white nonlinear narrative revolving around a political candidate who is assassinated, and the massive amount of anarchy and riots caused by the event. The song has been featured in several sources of media, and has been covered by several bands.